Looking for movie tickets? 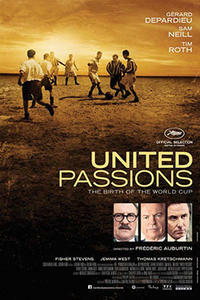 Enter your location to see which movie theaters are playing United Passions near you. An epic, untold story that brings to life the inspiring saga of the World Cup and the three determined men who created it. Driven by their vision and passion, three men, overcame their doubts and fought obstacles and scandals.